I started my Maldives experience at its capital, Male. Complete with its own beach, swimming track, historic sites, and a spectacular skyline of candy-coloured skyscrapers, Male is an island and a city, and good at both. What was once a populated island, has now evolved into a world-class city with all the modern amenities. I was told that Male offers the best chance to see the real Maldives. Shopping is at the hectic hub of Male. As I walked down Majeedee Magu, I came across an endless procession of clothes, shoes and bag shops. Male is also the best place to shop for more unusual antiques and Maldivian crafts. The North and South Male Atolls have the best assortment of distinguished resorts. From the small and romantic Cocoa Island to the alluring One & Only Reethi Rah, there are resorts for even the most discerning traveller. Male’s restaurants aim to please. Menus ranging from Thai, Italian, Indian and other international, regional and local cuisines, are served in most places. From cool bistros to the laid-back open-air cafes, Male has it all. 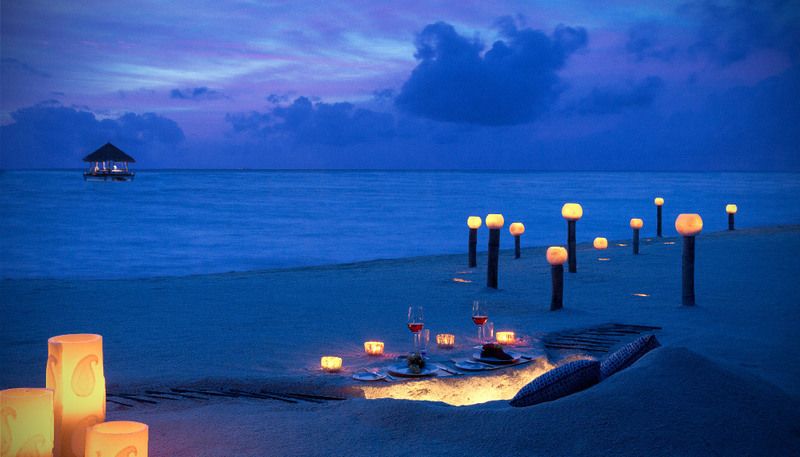 Nothing comes close to enjoying a traditional Maldivian meal, while listening to the waves at a waterfront restaurant. 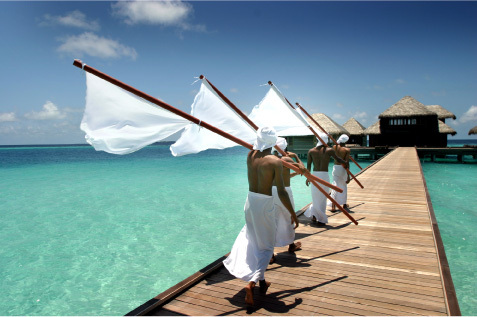 Maldivian resorts redefine extravagance. 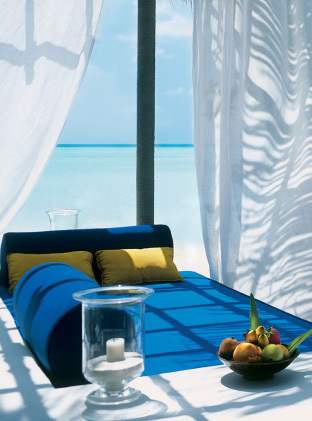 The Reethi Rah has some of the most enormous and lavish rooms I’ve ever come across. Most resorts have rooms with their own pools and give you direct access to the lagoon or beach. I chose to dine at the magical Fanditha. This exotic, beachside spot serves an a la carte Mediterranean cuisine – accompanied by the finest selection of chilled rosés and champagnes. I could see guests lazing on divan-style bolsters and in woven hammocks in the lounge area, and took the hint and joined them.